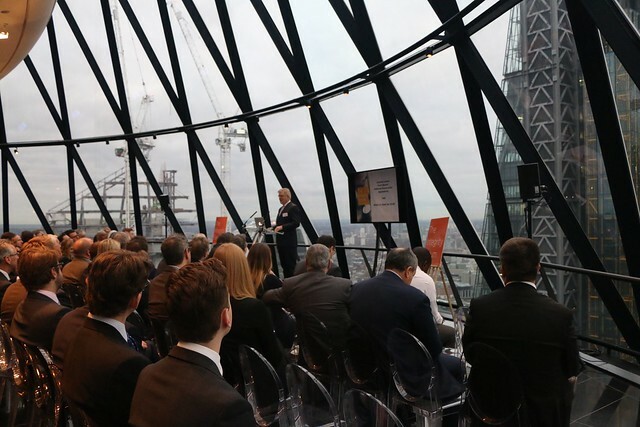 The Integrity Forum, an initiative of the global regulatory and financial crime, risk and compliance firm Exiger, is an ongoing breakfast event dedicated to the mission of enhancing integrity in the public and private spheres. Each Integrity Forum breakfast features a distinguished speaker who discusses an integrity-related subject, after which invited guests have the opportunity to ask questions and engage with the speaker and each other. Past Keynote Speakers include: Richard Weber (Deutsche Bank, Head of Anti-Financial Crime for the Americas), Maria T. Vullo (Acting Superintendent, New York State Department of Financial Services), the New York Attorney General, The Rt Hon Sir Edward Garnier QC (Former Solicitor-General), David Green (Director, Serious Fraud Office). For more information, contact Daniel R. Alonso (Chair) or Kody Gurfein (Executive Director). What can reform efforts in Argentina teach us about future global standards for anti-corruption? Key takeaways from Exiger's most recent Integrity Forum featuring Argentina federal appellate court Judge Mariano Borinsky. 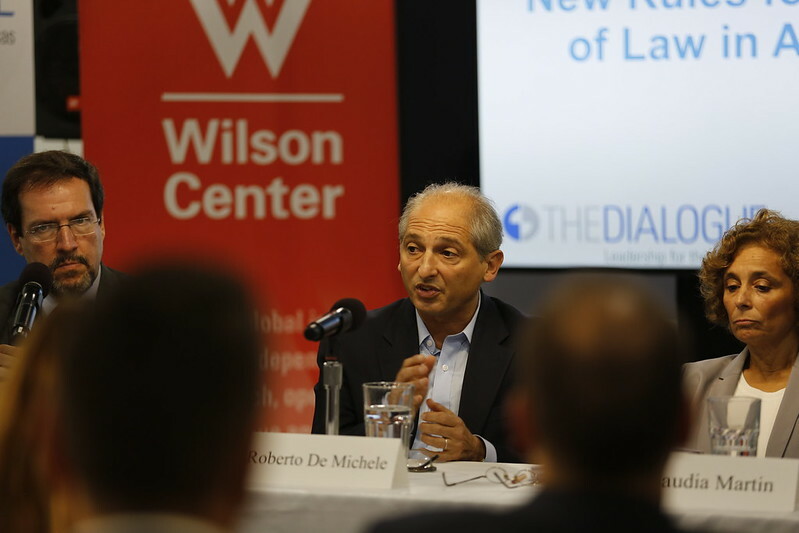 Read insights from our panelists, including Exiger anti-bribery and corruption expert Daniel R. Alonso and Inter-American Development Bank's Roberto de Michele. The “notebooks” scandal in Argentina has shined a light on widespread corruption among the country’s political and economic elites. It has also brought unflattering scrutiny to Argentina’s criminal justice system, including its federal judiciary. The fallout has shaken confidence, at home and among foreign investors, in the rule of law in Argentina. But well before the latest bribery scandal, President Mauricio Macri had launched an ambitious campaign to strengthen Argentina’s criminal justice system, aiming for greater efficiency, transparency and credibility. The cornerstone of that effort is a wholesale modernization of Argentina’s penal code, led by a federal judge, Mariano Borinsky, whose recommendations are shaping these historic reforms. The panel will be co-sponsored by the Argentina Project; the Inter-American Dialogue; and The Integrity Forum, an initiative of Exiger. Read Ren and Roy's FCPA Blog Post "Using your Existing Data to Power Compliance"
More on proactive corruption detection from The Integrity Forum @ CAPI speakers George "Ren" McEachern and Roy Pollitt. Their FCPA Blog post outlines the 5 essential steps for implementing data analytics and creating a sustainable risk and compliance program. The Integrity Forum at CAPI discussed how red flags for corruption are often lost within the volume, complexity and fragmentation of data. What’s more, resource constraints, outdated systems and a hesitancy to “look under the hood” keep companies and public agencies from mining data to detect key risk indicators. Click "Read More" to watch the replay of the event live stream. Could (and should) you be looking proactively at data to find corruption? Exiger joined the Center for the Advancement of Public Integrity (CAPI) for The Integrity Forum, an initiative of Exiger, on Friday, April 20th. 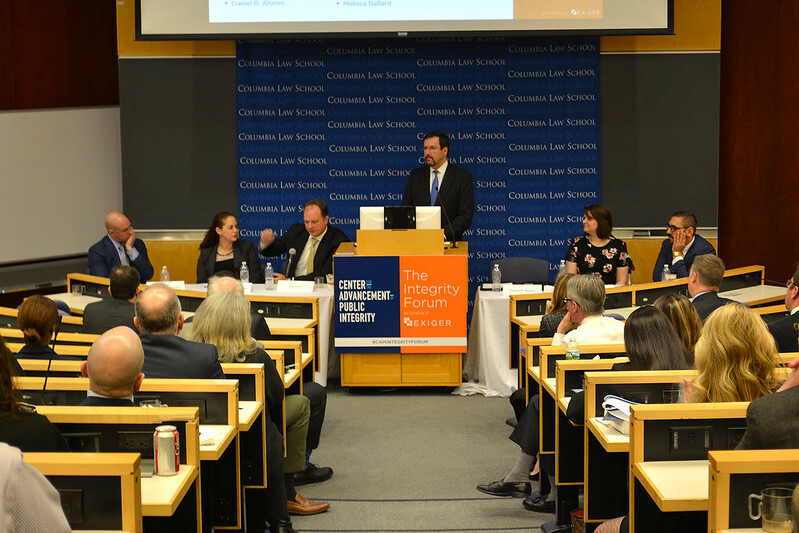 Panelists discussed how corporations, financial institutions and public organizations can use data analytics to take reasonable, cost-effective steps that allow for actionable intelligence and turn the sheer volume of data from a liability into an asset. Coverage of The RT Hon Sir Edward Garnier QC's 2017 talk at The Integrity Forum in London.